When considering live music for your venue, wedding, corporate or private event, consider the smooth vocal talent of jazz recording artist, Mykael. 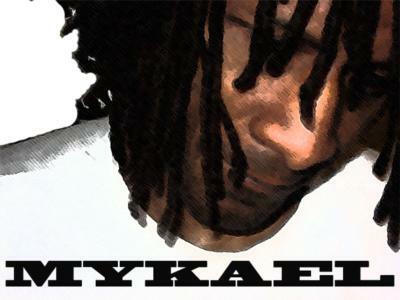 For over the past ten years, Mykael has performed in venues like Chicago's Underground Wonder Bar and New York's Cotton Club. Whether backed by trio or quartet, Mykael performs with some of the industry's most seasoned and illuminated musicians. His set list includes songs like Lush Life; Spring Can Really Hang You Up the Most; Thou Swell, Thou Pretty; My Funny Valentine; Someone to Watch Over Me; You Are the Sunshine of My Life; Silk Shinning Stockings; My Shinning Hour, et alia. It is not unusual for Mykael to take a popular song, be it r&b or pop, and put it to a jazz twist, like U2's "Love is Blindness," or Anita Baker's "Been So Long." Mykael will work with you to incorporate some of your jazz favorites as well to provide the perfect musical ambiance while your reception guests dine. Mykael and his ensemble's goal is to make your event a memorable one. Please note Mykael will also travel to Cicero, Berwyn, Oak Park, Forest Park, Hines, Lyons, Riverside, Brookfield, Maywood, River Forest, Summit Argo, Carol Stream, La Grange Park, Bellwood, Bedford Park, Melrose Park, Westchester, Burbank, Bridgeview, Hillside, Hinsdale, Hometown, La Grange, River Grove, Stone Park, Western Springs, Berkeley, Franklin Park, Justice, Norridge.